Add privacy and a new leaded glass look to glass doors, windows, shower doors, mirrors and more with these beautiful adhesive-free leaded glass static cling window films. 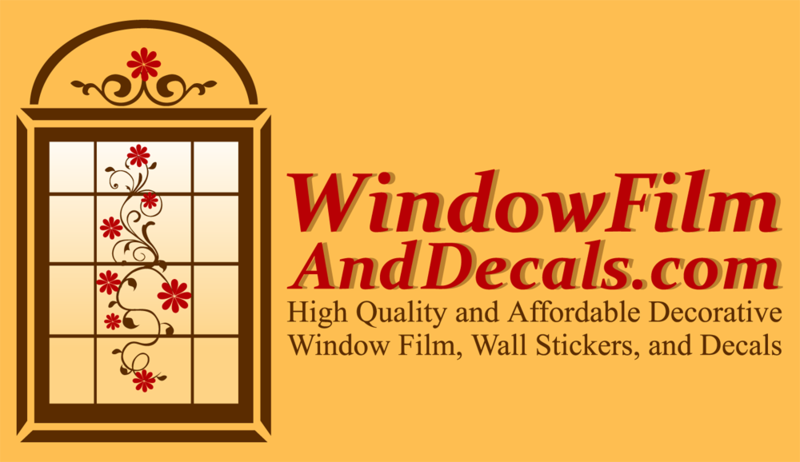 Decorating with static cling adhesive-free window film is an easy Do-It-Yourself project that only takes minutes to complete and will give you years of beautiful windows and doors with the classic etched glass look. Choose from our growing variety of High Quality vinyl leaded glass designs. From designs that will create a focal point to adding simple low-key privacy that blends elegantly with background designs. Perfect way to add beauty without the difficulty of hanging expensive blinds which require putting holes in your window frames or walls. Available in both privacy and see-through designs and in a variety of sizes to fit your needs. Excellent alternative for french doors, sliding glass doors, shower doors, glass shower enclosures (unaffected by steam or moisture), windows, transoms, sidelights, conference room windows, office windows and doors!